Gridiron is the UK’s premier American football magazine. 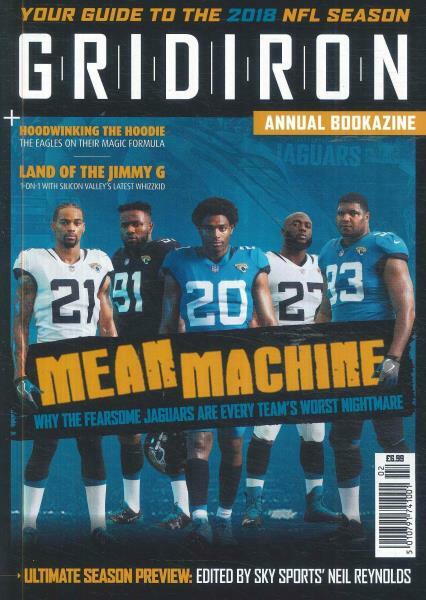 Buy a copy of Gridiron Annual Bookazine. Gridiron features exclusive interviews with the NFL’s biggest names, from Adrian Peterson, Calvin Johnson, Odell Beckham Jr. and Rob Gronkowski and many others. This is the essential annual for previewing the upcoming years of the NFL season, find a break down of the teams and players, the game line up, all the news and match reviews from the NFL, as well as exclusive interviews with players and coaches.